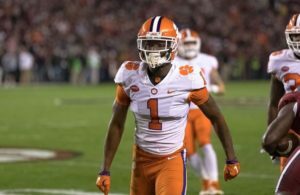 Over the next several weeks as the 2019 NFL Draft live from Nashville, Tennessee approaches, we’ll be taking a deeper look into the potential first-round picks the Pittsburgh Steelers could draft. Although this modern era “Steel Curtain” finished 6th in total defense in 2018, it’s assumed that the franchise will look to sure up the linebacker and defensive back positions early. With a looming and potential trade of superstar wide receiver Antonio Brown, we wouldn’t be surprised to see Pittsburgh draft Brown’s future replacement either. With no clear starting no. 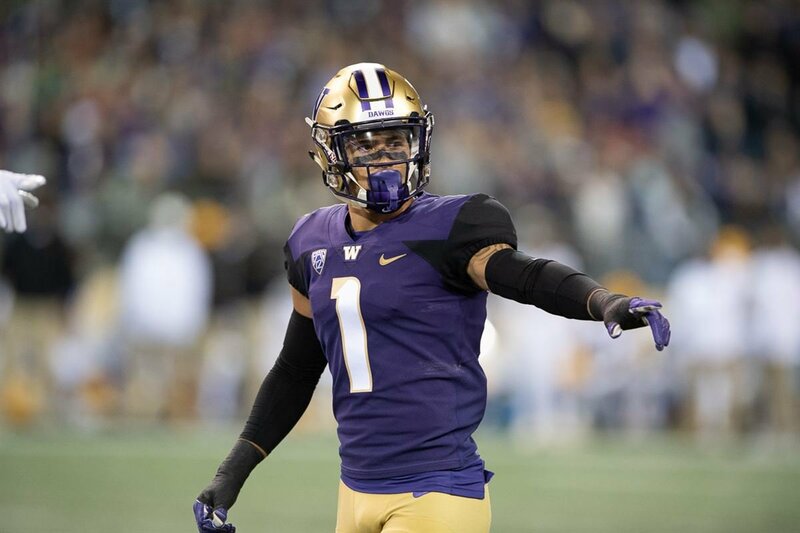 2 cornerback in Pittsburgh alongside nine year veteran Joe Haden however, the Steelers are sure to look at the nation’s arguably best overall rated cornerback and potential first-round pick, Byron Murphy. ESPN NFL draft analyst Mel Kiper Jr. has Murphy as his 3rd ranked draft-eligible cornerback, which could bode well for Pittsburgh’s draft position (20th). CB Coty Sensabaugh started just 10/16 games this past season for Pittsburgh and is on the last year of his current contract. With him becoming an unrestricted free agent, and 2016 first-round pick CB Artie Burns showing signs of regression (started just 6 games in 2018 after starting all 16 the prior season), Murphy could be the exact solution the Steelers are searching for. Murphy was a first-team All-Pac-12 selection this season and the MVP of the Pac-12 championship game. 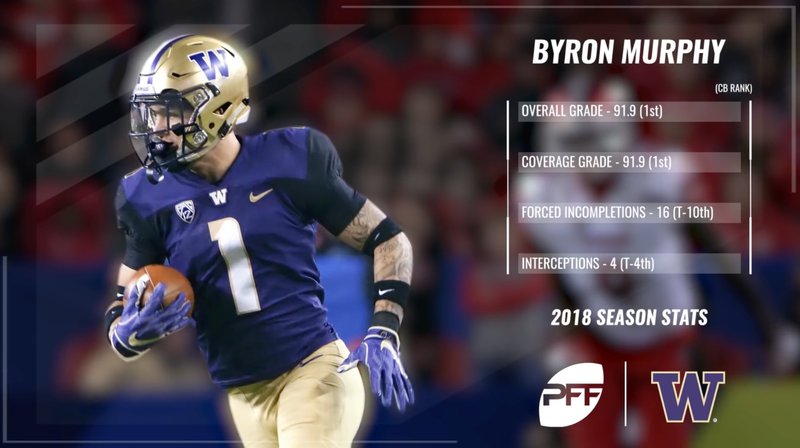 In his first two seasons total at the University of Washington, he’s started 20 games and has racked up 7 interceptions. Stay tuned for more Promising Prospects and let us know what you think of Byron Murphy. Comment below! Why draft cornerbacks under six foot. 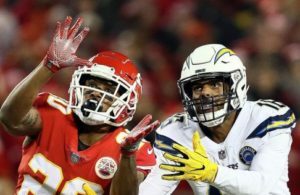 Leagues better receivers are well over that.Great receivers can go up and catch thethe ball.